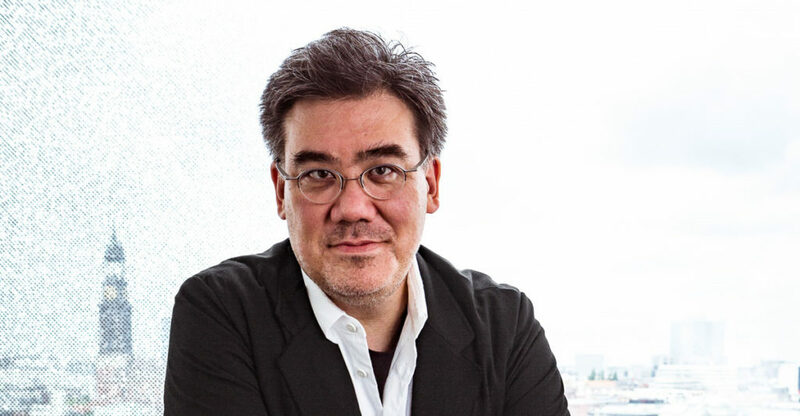 Alan Gilbert, one of the premier conductors in the world, returns to the podium this summer in Gustav Mahler’s “Das Lied von der Erde” at the Santa Fe Chamber Music Festival. The performance on Monday, Aug. 13 at the New Mexico Museum of Art will be Arnold Schoenberg’s version of the work, which is arranged for chamber orchestra. The singers are mezzo-soprano Sasha Cooke and tenor Paul Groves. The Mahler is the only work on the 6 p.m. program at the Lensic Performing Arts Center. Gilbert, the festival’s artist-in-residence, will also perform on violin in two other pieces. One is Gabriel Faure’s Piano Quartet No. 1. “It’s a beautiful work for that configuration,” Gilbert said. “It’s a gorgeous, very intense work in C minor. It has a kind of bold theme played in unison and then splits off. I love the way he shares the melodic material with all the instruments. “It’s in a way not impressionistic that you might think a piece of French chamber music to be. It’s passionate. “The scherzo is elegant, sweet and stylish and kind of dances in a delicate, effervescent way. The slow movement is soulful. The melodic material comes back. And the last movement is thrilling, in a major key, and feels earned after the story of the rest of this piece,” he added. Gilbert said he’s most excited about the fact that he’s playing it with old friends. They are pianist Simon Crawford-Phillips, violist Manabu Suzuki and cellist Eric Kim. “It’s a piece we all love to come back to,” Gilbert noted. The Faure will be presented in paired concerts at 6 p.m. Sunday, Aug. 5 and Monday, Aug. 6 at the New Mexico Museum of Art. It’s on the same program with W.A. Mozart’s Piano Trio No. 6 in G major and William Walton’s Façade: An Entertainment. The other work in which Gilbert is violinist is J.S. Bach’s Concerto in C minor for Violin and Oboe. The oboist is Liang Wang. “I think it was originally written for keyboards. I think the key was different,” Gilbert said. Among those instruments is cello, which will be played by Kajsa William-Olsson, who is Gilbert’s wife. William-Olsson, violinist Jennifer Gilbert (Alan Gilbert’s sister) and violinist Harvey de Souza (Jennifer Gilbert’s husband) will also be playing in the three other works on the program. Those works are George Frideric Handel’s Concerto Gross in D major, Antonio Vivaldi’s Concerto in F major for Three Violins, Strings and Continuo and Vivaldi’s Concerto in B minor for Four Violins, Cello, Strings and Continuo. The concert is 5 p.m. Saturday, Aug. 11 at the Lensic Performing Arts Center. Alan Gilbert is the former music director of the New York Philharmonic. He is the first native New Yorker to hold that post, which he held for eight years. He said he may take in the Santa Fe Opera’s current production of John Adams’ “Doctor Atomic.” Gilbert is familiar with it. He received a Grammy in 2016 for a production of “Doctor Atomic” that was captured on DVD by the Metropolitan Opera. He also has ties to the Santa Fe Opera. Gilbert served as the SFO’s first music director and has conducted there. For the upcoming 2018-19 season, he will be busy conducting symphonic works and operas. The season begins Aug. 29 – Sept. 8 with the Staatskapelle Dresden at the orchestra’s home and on tour in Italy and Austria. Gilbert conducts rarely staged 20th century operas by two Viennese composers. The first one is Schoenberg’s “Moses and Aaron” with Dresden Semperoper Sept. 29-Oct. 15 in a new production. The other Viennese composer is Erich Wolfgang Korngold; Gilbert will conduct his “Die Tote Stadt” at La Scala from May 29 to June 17. From Oct. 28 to Nov. 8, he will lead Hamburg’s NDR Elbphilharmonie Orchestra as Chief Conductor Designate in concert in Shanghai and in four cities in Japan. (In September 2019 Gilbert will begin his tenure as chief conductor of the orchestra; he had served as its principal guest conductor for more than a decade when it was known as NDR Symphony Orchestra Hamburg.) Gilbert conducts the Vienna Symphony Jan. 11-15 in three all-Czech programs. He leads the NDR Elbphilharmonie Orchestra May 10-13 in Gyorgy Ligeti’s surrealist opera “Le Grand Macabre.” Gilbert’s leadership of the New York Philharmonic in the opera was named “Best Classical Performance of 2010” by New York magazine. Gilbert is also Conductor Laureate of the Royal Stockholm Philharmonic Orchestra.